VietNamNet Bridge – Thermal power will continue to be the major electricity generation source for Vietnam in upcoming years, but citizens are becoming increasingly vocal about the undesired environmental impact of such projects. Long An citizens, for example, have voiced their protest against the development of two coal-fired thermopower projects with total capacity of 2,800 MW and investment capital of $5 billion in the province. The provincial authorities have proposed to build the power plants at other locations, near HCMC. And it is now HCMC citizens who have shown their strong opposition against the projects. 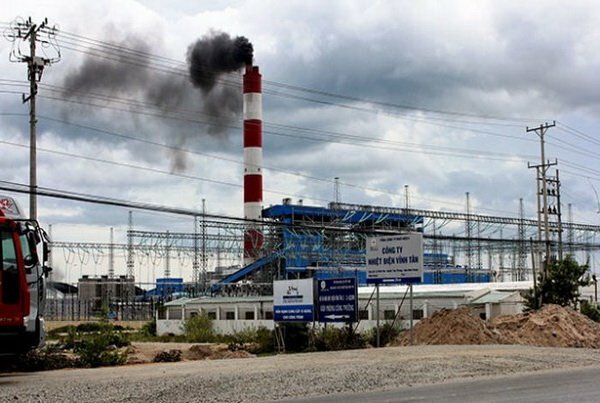 “Everyone considers thermopower plant as rubbish dumps and they want to stay away from the dump as far as possible,” said Le Anh Tuan, deputy head of the Climate Change Research Institute, an arm of Can Tho University. The investors of power projects in Long An are from South Korea, where 10 old coal-fired power plants will shut down by 2025 and $37 billion worth of capital will be poured into renewable energy projects. Vietnam estimates that the electricity output from coal-fired thermal power will increase from 26 percent of total electricity output to 53 percent by 2030. This means that while other countries are shutting down their coal-fired plants, Vietnam is doing the opposite. Meanwhile, Vietnam estimates that the electricity output from coal-fired thermal power will increase from 26 percent of total electricity output to 53 percent by 2030. This means that while other countries are shutting down their coal-fired plants, Vietnam is doing the opposite. Vietnam ranks fourth in the world in building coal-fired thermopower plants, according to CoalSwarm, Greenpeace and Sierra Club. China last year closed down 151 coal-fired power plants. The country is one of the biggest renewable energy developers in the world. And it is also enthusiastic in assisting other countries to develop coal-fired thermal power: it is building and providing capital to over 200 coal-fired power plants in 31 countries. According to GreenID, China is the investor of 50 percent of coal-fired thermopower projects in Vietnam. The figures are 23 percent for Japan, 18 percent for South Korea and 9 percent for other countries. The US and European countries refuse to contribute capital to thermopower projects because of environmental reasons. Scientists say three technologies exist to fire coal to create steam that rotates turbines to generate electricity – sub-critical, super-critical and ultra-super-critical. However, all the technologies produce emissions. One of the biggest reasons behind Vietnam’s decision to continue developing coal-fired plants is the low investment rate. In the land strip from Quang Binh to Nghe An, coal-fired plants exist in every province. However, experts pointed out that coal-fired power is not as cheap as people think, if counting the environment and healthcare costs. Coal-fired plants are polluting the sea and threatening aquaculture and tourism which are the livelihood of millions of people.